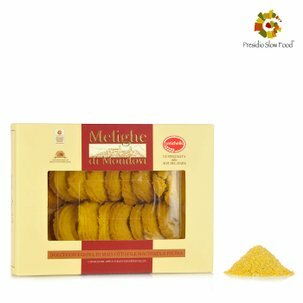 Paste di meliga are traditional biscuits from the Cuneo valleys district, golden in colour, crunchy and with a restrained sweetness that never tires. Real paste di meliga are made with simple ingredients: fresh eggs, premium quality butter, locally sourced stone ground flour and without the use of artificial flavouring. Offer them up with a glass of Barolo for dessert or serve them together with the zabaione!! 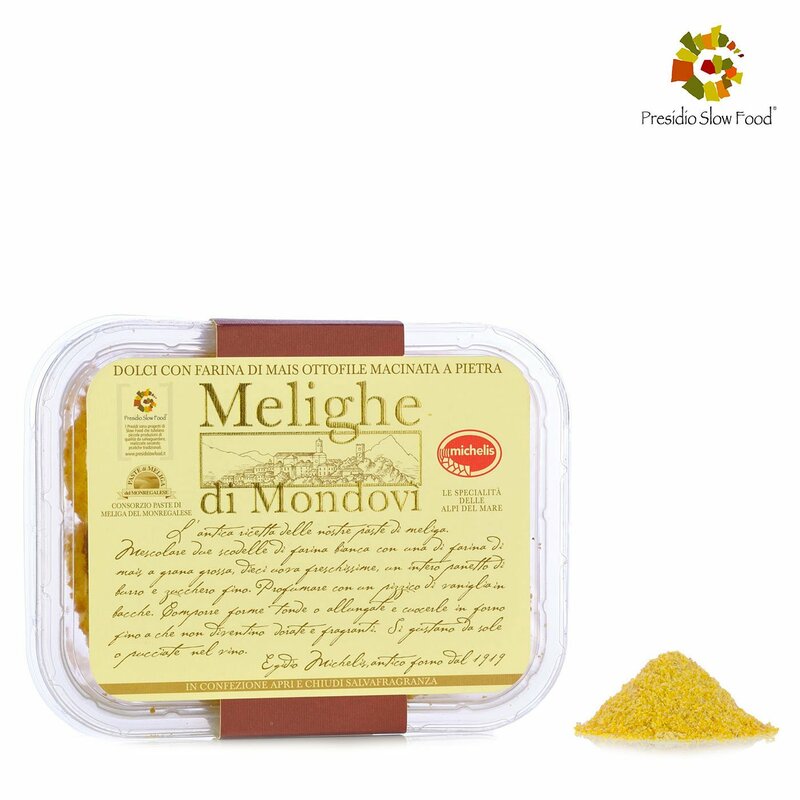 Monregalo paste di meliga are a Slow Food presidium and Eataly has selected the very best, lovingly made by Egidio Michelis. 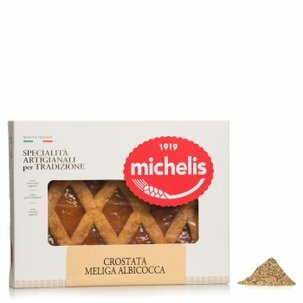 If you're crazy about Michelis' Meleghe di Mondovì biscuits don't miss the value pack available from Dispensa di Eataly! Ingredients INGREDIENTS: ottofile stone-ground corn flour 22.5%, type “00” WHEAT flour, sugar, BUTTER,EGGSA, raising agent:disodium diphosphate and bicarbonate of soda, natural vanilla flavouring. ALLERGENS: cereals For more information on product labels, please contact our Customer Service department. The information on the labels of the products may vary for reasons beyond our control, therefore, there may be discrepancies between the information on the site and that on the products delivered. Please always check the information on the product before consumption or use. 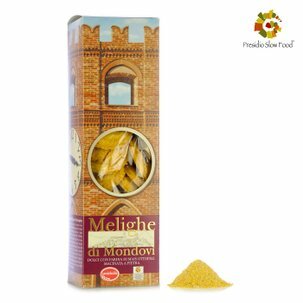 The colourful history of Michelis started out in 1919 in the back room of a Mondovì inn in a small bakery making fresh pasta and confectionery prepared in accordance with artisanal practices. The bakery was run by Mario Michelis who took to the task with vision and resolution from day one. 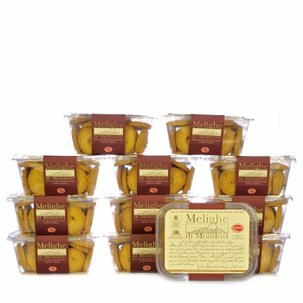 The products started receiving positive reviews that served to spur the Monregalo entrepreneur to even greater feats. The success of these endeavours was such that successive generations of the Michelis family have taken up the challenge of running the now established business, responding to the demands of customers, who occupy the central position in the firm's business ethos. Eataly was unable to resist Michelis' delicious products... and we suspect you'll understand why when you taste them!